The van was imported with seats, then stripped. Source the seats and all hardware and you should be fine. My 2017 wasn't stripped, Fifty. There's no holes or bracings for seat or seat belts in my back of mine. When did they change that? Hey grimaldiauto, I actually started a thread about this last week. As others have mentioned, the cargo and passenger vans are actually the same. In the case of the cargo vans, a false floor has been installed behind the front seats to hide the 2nd row seat footwell and mounting points. Based on the discussion in the thread I started, it's my understanding that as long as you get seats that match your mounting configuration (60/40, two singles, etc) from a TC that's the same generation and wheelbase as yours then they should be compatible. For example, my TC is a 2014 long wheelbase model. After removing the false floor I found that the mounting points are configured for a 60/40 split bench. So any 60/40 2nd row bench from a 2nd generation long wheelbase TC is compatible. I'd love to see a pic of the older cargo van with the false floor removed. I've popped the roof on my 2011, but wouldn't mind a bit more headroom to stretch. My 2015 Gen 2 cargo model has all the mounting holes for belts and seats. There is also evidence that some of those mounting holes (seat belt mounting on both sides) were used and then brush painted kind of crudely to hide the scratches. Believe what you want but I'm assuming this van was imported as a wagon model and changed to a cargo model to avoid the tariff. On a side note, given the current troubles in Turkey, I'm sure Ford is very happy they moved production from Turkey to Spain for the Gen2 models. It would be cool if these vans were made in the US to reduce the lead time for custom orders. Current tariff policies might force that decision for Ford. It would be cool if these vans were made in the US to reduce the lead time for custom orders. Current tariff policies might force that decision for Ford. Too political. It would "Make America Great Again". U.S.A. company producing vehicles in U.S.A. Surely there would be some sort of government incentive to build the factory and create all of those jobs. Perhaps even using U.S. Steel. Cars made by Americans, sold by Americans, to Americans. 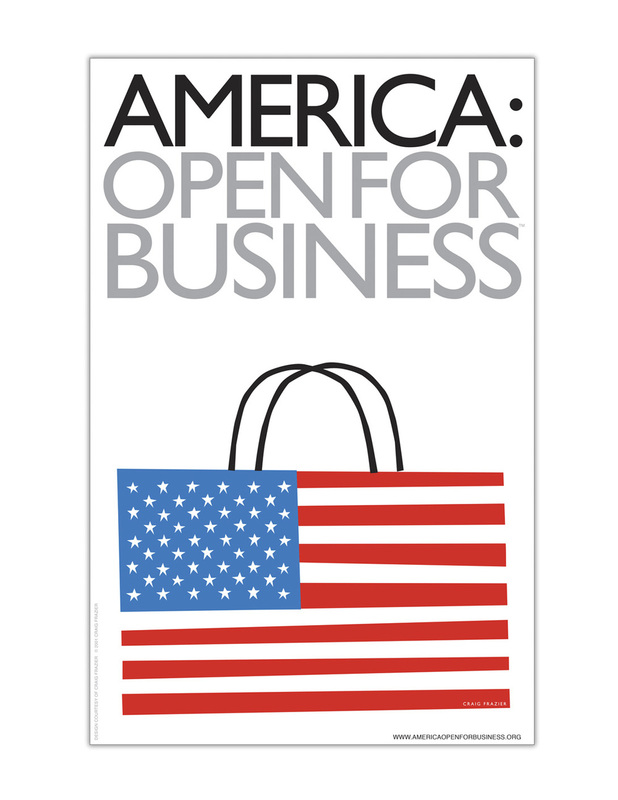 America: Open For Business. But nobody is buying. Can you imagine all the people who would boycott Ford and call them Trump-Mobiles? Here you go, mrtn. Just for you. Marijuana smokers in decriminalized states know it best: You can light up in public and get away with it, but if they want, the Feds can crack down with alarming force. We don’t think Ford executives were high when they chose to import vans from Turkey, rush them off the boat to chop shops, and skirt federal laws in plain sight. But from the eyes of U.S. Customs and Border Protection officials, they’re wrong. So Ford, like many automakers before it, got creative. Even though most of its customers order the two-seat, stripped-out commercial model, Ford ships every Transit Connect to the Port of Baltimore in five-passenger Wagon trim. As soon as customs agents approve the vans, Ford whisks them offsite where a shipping contractor rips out backseats, flooring and rear windows. The brand-new parts then get sent to Ohio for recycling, and a new floor and metal stampings to cover the window openings go in place. Customs officials say it takes Ford less than 11 minutes to convert a Transit Connect from a people mover to a cargo van, and, while everyone knows Ford has been doing this for the past four years, the Feds have had enough. “The product as entered is not a commercial reality; it exists only to manipulate the tariff schedule rather than for any manufacturing or commercial purpose,” wrote customs director Myles Harmon in an internal document (available here; downloads Word document). To prove his point, Harmon compared the conversions to similar moves by sugar and lumber companies, which modified their products immediately after arrival. He even referenced our own first drive review to demonstrate that the vehicle was really designed to carry cargo, not people. Since it began paying the higher tariff in March, Ford spokesman Said Deep says the company hasn’t changed its import practices—and won’t, not even when the new 2014 Transit Connect arrives from Spain next year. Ford doesn’t anticipate raising prices to fully compensate for the losses, he says. “The tariff classifications are based on the condition as imported,” Deep says. “That’s based on centuries-old legal authority. What we’ve been doing has been known by customs and common knowledge,” he says, referencing a Wall Street Journal story first reporting on the company’s runarounds in September 2009. While customs officials did not respond to requests for comment, other automakers have successfully beat the chicken tax. During the 1980s, Subaru put plastic seats in the beds of BRAT models so they wouldn’t be marked as pickup trucks. Before Mercedes opened a plant to build the Sprinter in 2007, it shipped the cargo vans as kits from Germany and assembled them in South Carolina. Mahindra, which ultimately never made it over, was planning to do the same with its pickup trucks. But while Ford protests in court, the company actually supports the tariff—along with Chrysler and General Motors—because it continues to obstruct sales of foreign-made pickups and vans from Japan, China, and other markets. In fact, a bipartisan majority of both houses of Congress are now telling President Obama to keep the tariffs, with the goal for Japan to adopt currency exchange rules and lift quantity restrictions on imported vehicles. Any debate about the chicken tax is largely moot as its definition and enforcement are so liquid. All the Japanese automakers build trucks here, without tariffs, and while the government does have a strong case against Ford—including proof that Ford’s VIN labels show the vehicles originally tagged as cargo vans—this same government is no stranger to mislabeling vehicles. Besides its double standards for fuel-economy tests, the Environmental Protection Agency, in just one example, classifies the Ferrari California as a “minicompact,” the same size class as a Scion iQ. Brings to mind a somewhat related question. As the TC was mostly imported as a cargo van, how many folk have had issues with getting insurance? My independent agent had to dig hard to find one that would write it up as a personal vehicle - everyone else wanted to call it a commercial vehicle at a higher rate. Doesn't help that most of the TCs had been VIN tagged as cargo vans. Should be just like insuring any truck or van. I have a commercial license plate, but personal vehicle titled to me, a person, not a business. Our insurance company just asked us, "Are you going to use this for personal use or business?" We said personal. No problem, and then we were informed that, in the case of an accident, if we're found to be using it for commercial purposes, the insurance would be null and void. OK then ... maybe my adjuster ain't the sharpest pencil in the bunch. I did get a good deal on it - actually paying about the same as I was for my old Ranger. Your insurance guy is sharper than you think. If you didn't stop and question it, he would have sold you a more expensive policy, with a bigger commission. My insurance girl looked at me, kind of did a double take, and asked, "what are you doing with a car like that?" She knows me from the community, outside of the office, and knows my lifestyle. "No way! You bought a minivan? How many girls did you get pregnant?" She said that the biggest issue right now for their agency is all of these people with rideshare apps. She had to tell me, just like everyone else, that if you do not disclose that you are driving Uber or Lyft, and you get into an accident, you will have zero coverage. 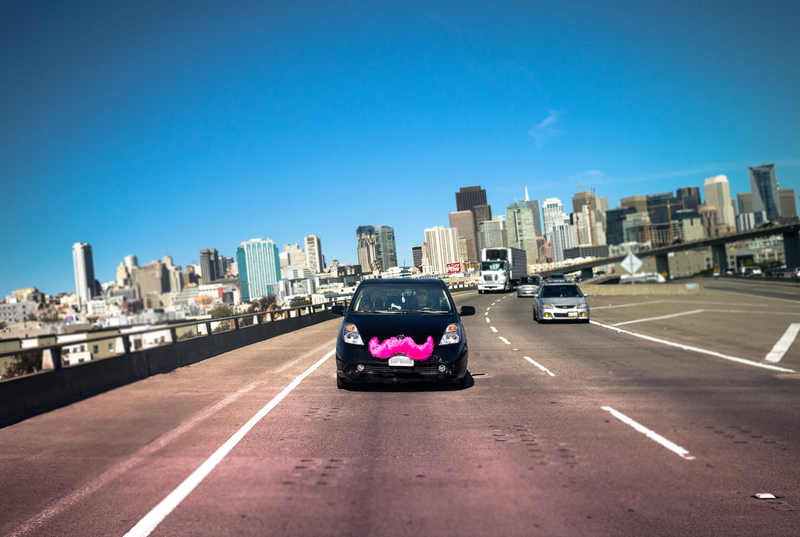 Even if you are just driving yourself, without a passenger, get into an accident, and you have those Uber & Lyft stickers on your car. 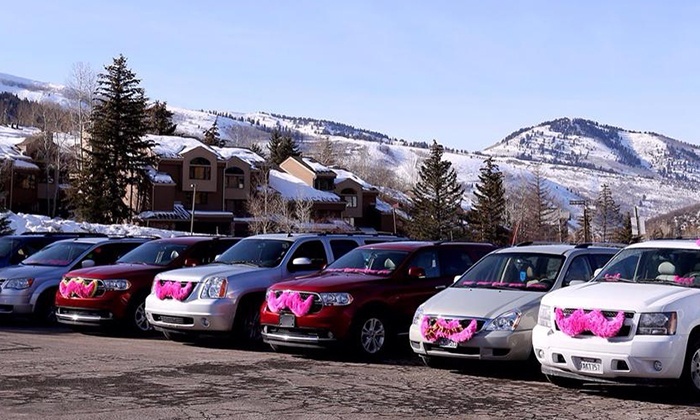 Or if your car has a pink moustache. You can ride the moustache. 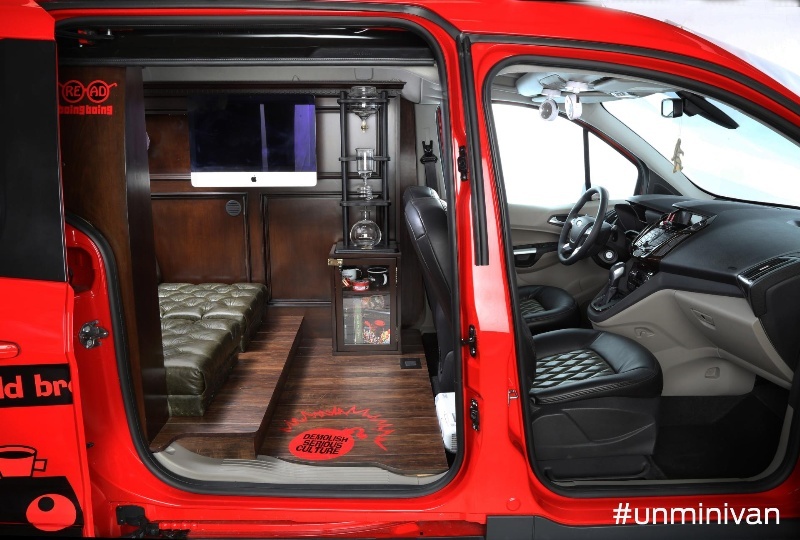 Can you add a second row bench seat to a van that doesn't any.